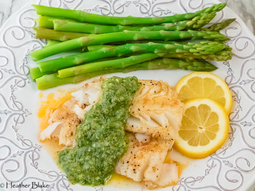 A light and healthy meal that's perfect for spring and it's gluten-free! Fat Tuesday is just around the corner! Why not make a good old batch of red beans and rice! 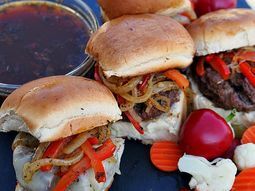 It's packed with cajun spice and all the meaty goodies! 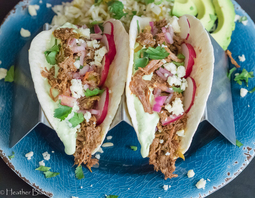 Beef Brisket Street Tacos are something great to make with your leftover beef brisket or pot roast! 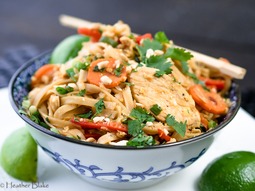 The southwestern spices kick up the flavor on boring leftovers! 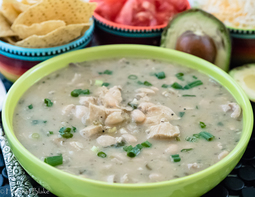 I'm not sure what's better than a warm gorgeous bowl of White Bean Chicken Chili! This chili will put a smile on your face and your belly will be happy! 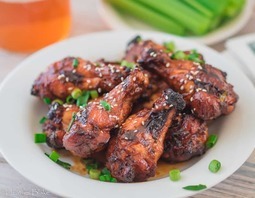 A little spicy, a little sweet and sticky enough that you can forgo the ranch dressing! 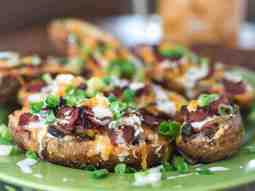 Loaded Western Potato Skins are filled with all the flavors of the West! Green chili, black beans and, Bacon! 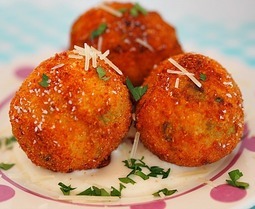 Give these a try for your next football party! Touchdown! "Drunken" Peaches and Cream Pie. 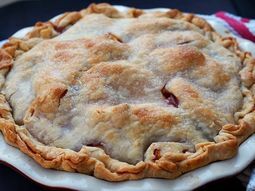 A fun alternative to your normal pie. An extra kick for good measure! 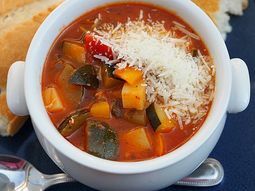 Italian Zucchini Soup (Giambotte) is a really tasty way to use your summer zucchini. I always have way too many and this is a good way to use them. 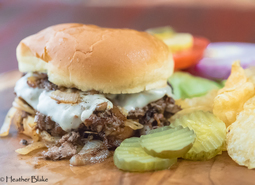 If you don't have an entire day to make an Italian beef, try these Italian Beef Hamburgers. Just as yummy in a fraction of the time! 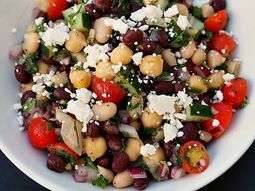 Balela (Mediterranean bean salad) OMG delicious and super healthy. Vegetarian goodness and gluten free you will never miss the meat in this one! 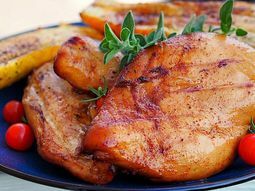 Beer Can Chicken Without The Can is really a delicious marinade for the same old boring chicken. Easy to make and heck everything tastes better with a beer. 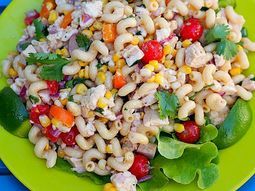 Tequila Lime Pasta Salad is great for those hot summer days. 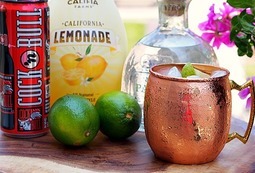 Super light and healthy with an unexpected kick of a little tequila! It's really delicious! Check out this sandwich! 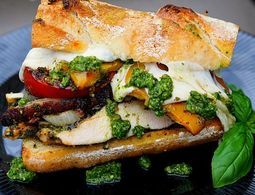 Grilled Pesto Chicken & Vege. Tons of melted cheese crunchy grilled bread. I can't say anything but I'm hungry! I am on a dry rub kick and this summer and as far as I am concerned this Spicy Coffee Dry Rub is killer! 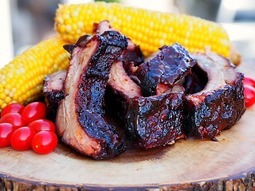 Give it a try on your favorite red meat or pork! Ginger beer,it's like nectar. 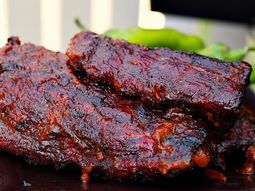 Huge flavor and a little ginger kick to the Ginger "Beer" ribs that is just right for the sauce and for braising the ribs in. 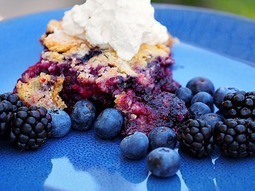 "Black and Blue" Berry Cobbler is a perfect summer dessert when all the berries are so yummy! So good with a big scoop of ice cream on a hot day! 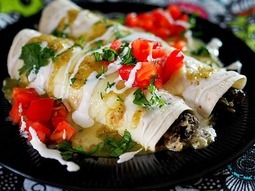 I love how the cream cheese and the mushrooms transform these into something that you really won't find at any restaurant! 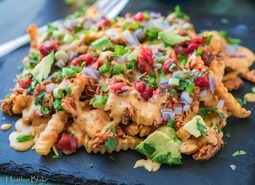 Super tasty way to feed a crowd! Sweet, spicy, tangy, salty everything all in one bite! Great alone or made into a salsa. 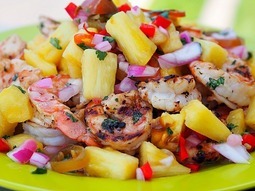 Perfect with fish, shrimp or in tacos! Do not be afraid! Delicious! 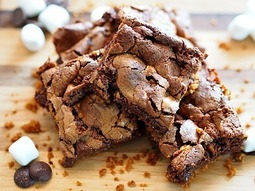 S'more Brownies. When the weather doesn't allow for making outdoors, you can make them inside. Equally as gooey on the middle and better because there is more chocolate! Cherry Pepper "Da Bomb" Vinaigrette, perfect for a salad dressing or a marinade for chicken, pork, beef or fish! Give it a try, it's a "go to" food for me! 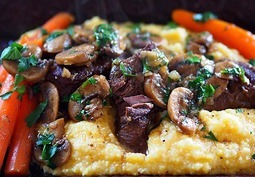 Marsala Short ribs not your average thing to make for dinner in the Spring but perfect for any cold "winter" night, like here right now in CO! Easy to make! 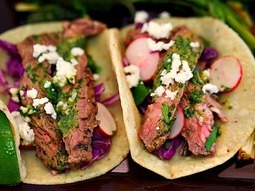 Carne Asada. 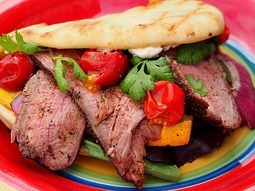 Beautifully marinated and grilled steak. Great in tacos, in a salad or a burrito. 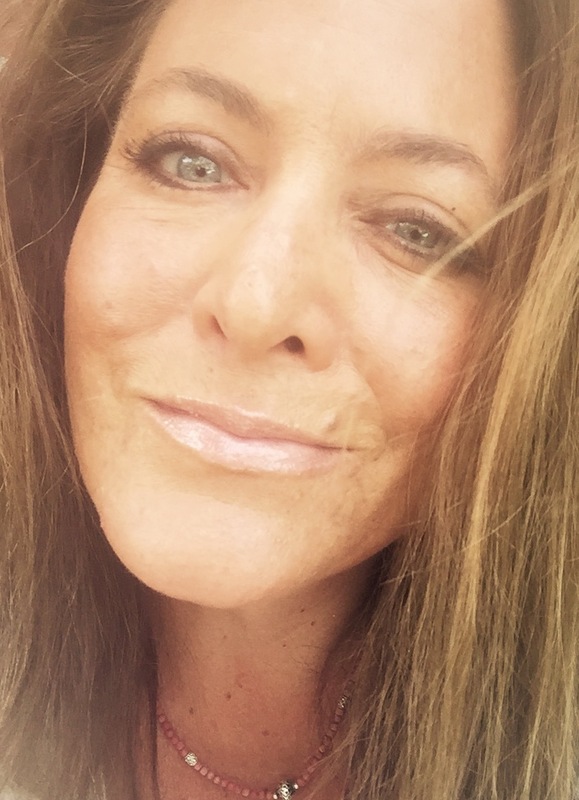 What ever your little heart desires. 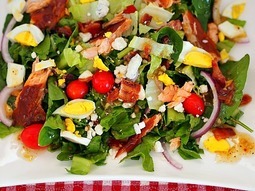 Cobb Salad with Warm Bacon Vinaigrette so yummy and I made mine with a honey smoked salmon! Try it with chicken or what ever you want. Just tasty! Looking for something that is easy and delicious for Easter? 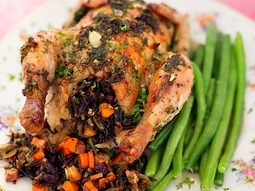 Try Herb Rubbed Cornish Game Hens With Wild Rice Stuffing. 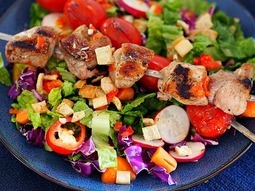 Super flavorful and pretty on the plate!